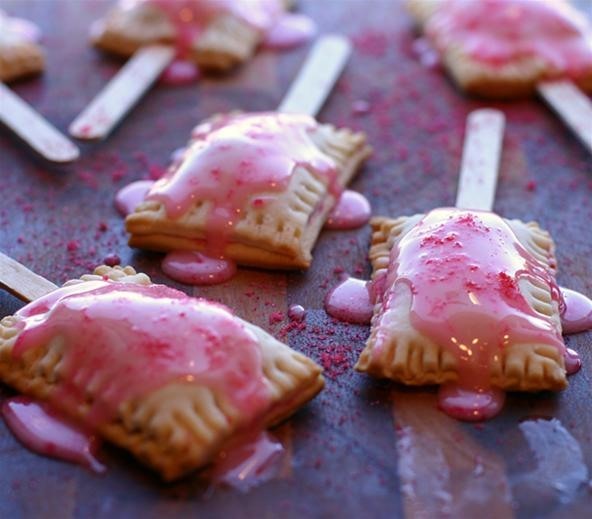 Pie on a stick has been good to us, so why not Pop Tarts? (Admit it, Pop Tarts are good- and these are more like yummy pastries without preservatives.) 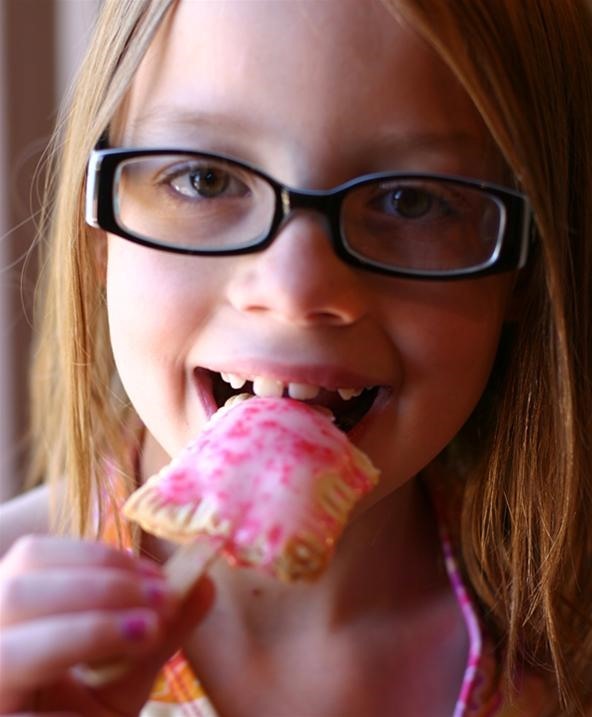 As a tribute to Bakerella, Brooke of Family Kitchen has created a recipe for the latest addition to the lollipop dessert craze. In a small saucepan, combine cherries, sugar, cornstarch and almond extract. Heat on stove over medium heat until mixture has thickened. Remove from heat and allow mixture to cool. Unroll pie crusts and using a pizza cutter to slice them into 1 1/2?x 2? rectangles (I used a ruler to measure mine into equal sizes. Just use a butter knife to score your pie crust before cutting). Place a wooden popsicle stick on top of one of the cut rectangles, then spoon a small amount (about 1 1/2 tsp.) of cooled cherry filling into the center of the pie square, taking care not to get it near the edges. Gently lay a second rectangle over the top of the cherry filling. Press the edges of the rectangles together with a fork. Transfer to a baking sheet. Bake poptart pops in an oven preheated to 400 degrees for 8-10 minutes, or just until the edges begin to brown. 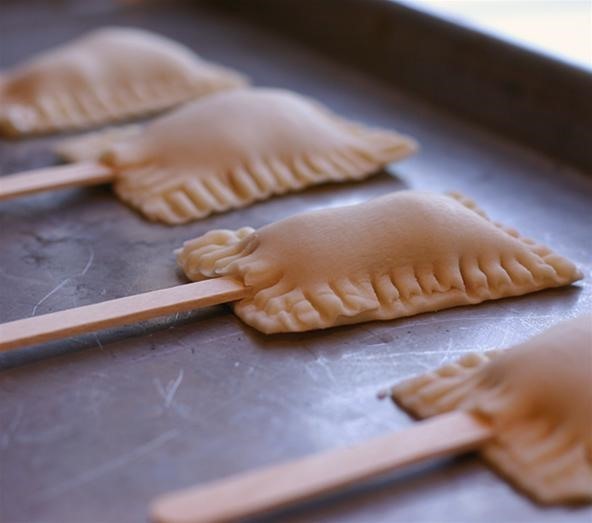 Previously, DIY Pie on a Stick. MTV-on-a-Stick (and Other Edible Brands).